The Feed Navigator published an interesting article that will appeal to dairy producers facing problems with drought. This article is about Golden Valley Farms and how they decided to move towards hydroponic growing to combat drought related problems. The dairy farm began growing barley sprout feed inside in 2013. Since then they have expanded their production, according to Mario Daccarett, the owner. He also said that they wanted to increase conjugated linoleic acid levels in milk produced by their dairy cows. This was done by using only fresh feed. Hydroponics has allowed them to apply stringent quality control measures. At present, the dairy makes use of a ration of oat hay and fresh barley sprouts. They raise both ingredients. The barley sprouts took the place of the alfalfa they once used. This system has allowed them to reduce the amount of water required for feed growth. They use just 2% of the water they did when farming the traditional way. The system they use is commercially available. While it is relatively new and still going through an evolution of sorts it is undeniable how much it has helped them save. Feeding many animals has become more affordable. The substitution of barley sprout instead of alfalfa increased their savings, as it is a lot cheaper. Since the new feed is more digestible, there is less manure. This means that animals get more of the feed’s nutrients out through the milk instead of their feces. Therefore, that translates to higher-quality milk for the consumers. Innovation is the key to success, especially when it translates into greater savings and better product. 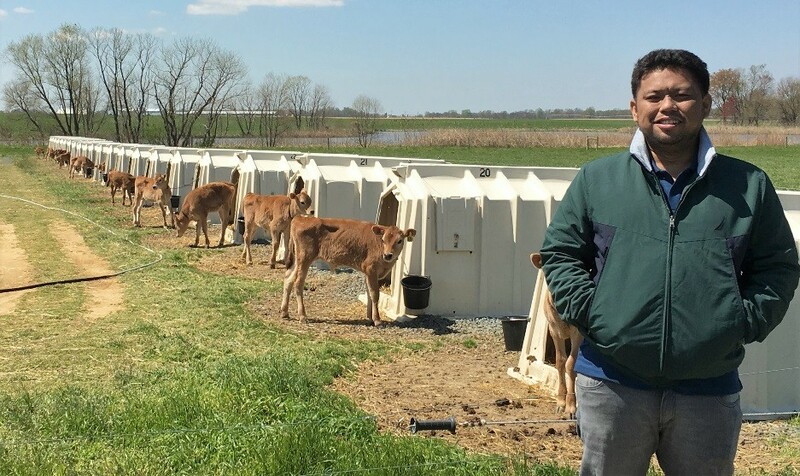 If you are in the dairy industry or contemplating this field for a future business venture, you will want to consider applying this to your endeavor. This is just one of the many new innovations in dairy nutrition. I’ll keep posting articles like this every few weeks. By the way, if you are looking for a job in this field, Continental Search has a wide array of openings in the dairy industry. If you need help in choosing one that suits your skill set best, do not hesitate to email me for assistance.